Acrylic plastic mirror sheets are a continuously processed extruded acrylic sheet with a metalized mirrored finish that is protected by a coated backing. 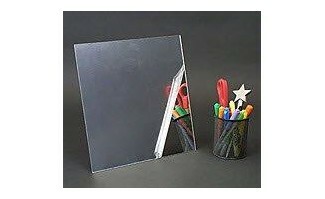 Acrylic mirror is available in a variety of colors, patterns, two-way mirror and even aircraft and marine grades. It is ideal for slat wall, POP Displays, and food service applications.